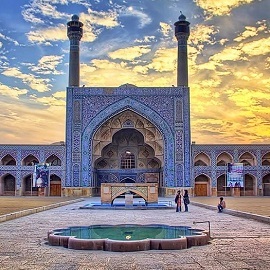 Every year thousands travelers trip to Iran for visit Iran attractive places and also for closely introducing pure Iranian culture. 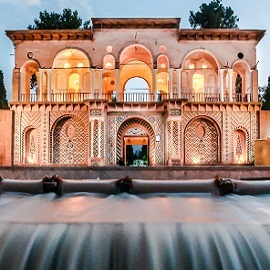 I can say over than 90% of tourists that have traveled to Iran Have fascinated to Intimacy and serenity and also hospitable of Iranian people, I think this is main factor after amazing Iran attractive places that cause to recently increase trip to Iran. 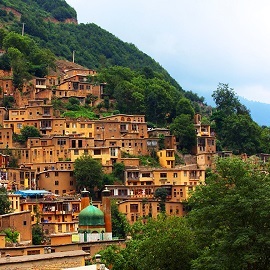 and we proud to this subject.Our today post is about one of the historical and beautiful villages of Iran , in the name of “ Sar agha Seyed “, is located in “ Chahr mahal bakhtiari “ province, 2500 meters above sea level, In one of the slopes of Mount “Seven shellfish” in the central “Koohrang” city. All mud-brick houses with windows and doors throughout the house facing and opens the green nature and the “ Agha Seyed “Shrine. Of course, most houses are without windows and doors only way to out. This village has step and moutinal architectur and between tourists is fame as “ Masooleh of Zagros”. The village used to be one of the summer Stopping places Bakhtiari nomads. 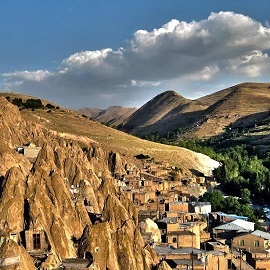 People of village spoken in “ Bakhtiari “.The village dates back estimates several hundred years ago. For reach to village you should to across dirt road over than 40-50 K.M that has covered by Walnut trees, orchards and springs. Jobs of more rural people and livestock farming, the extraction of salt from springs near the village. Traditional salt is Souvenir of village. But the most important souvenir of the village dairy products such as milk, yogurt, cottage cheese and butter. In addition, rural women work at home and the salt ponds, handicrafts such as carpets, woolen cloth, black tents. Another attraction places near of village are “Shir ali khan” village, “Chama” ice cave, “Zard kooh” peak with a height of 4200 meter, “Chelgerd” ski resort 50 kilometers from the village and “ Chal mishan “ski resort in summer .This place unfortunately this place is not destination of Iran travel agencies but id you interested in nomad life, we hold tour for you.